Owner Karl Roulston accepted the award from Chamber President Mike Ashley at the Annual Meeting in January. 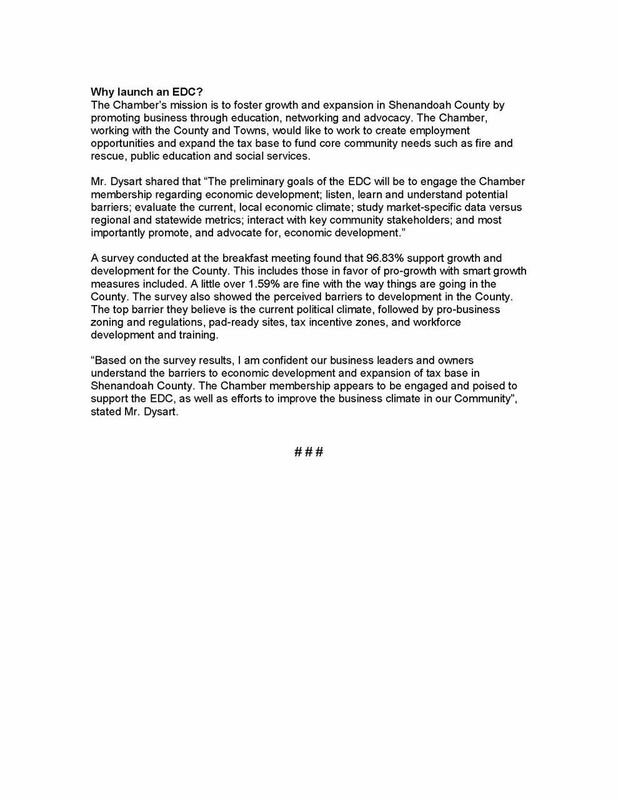 LFCC President Dr. Cheryl Thompson-Stacy was presented the award at the Chamber's Annual Meeting in January. Thompson-Stacy became the fourth president of the College in 2009. 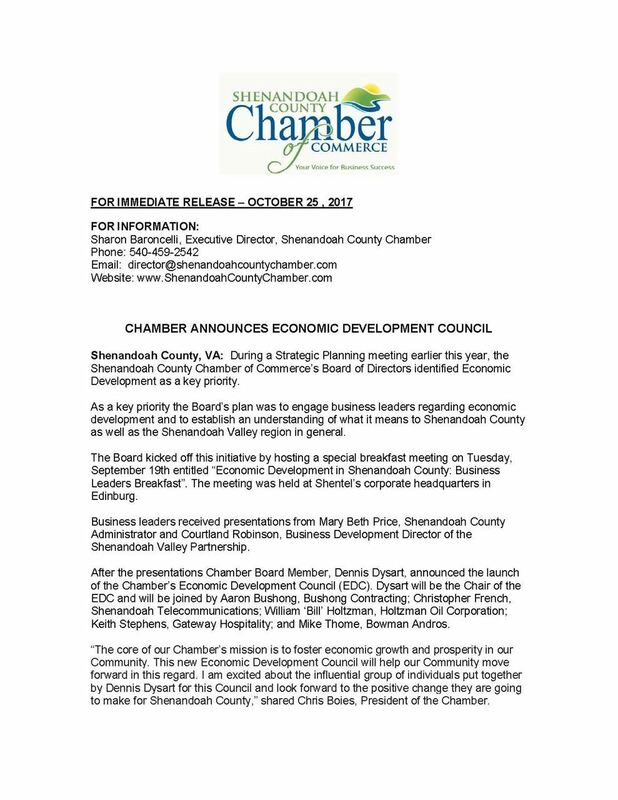 The Shenandoah County Chamber of Commerce Board of Directors is pleased to announce the selection of Sharon Baroncelli as the new Executive Director.